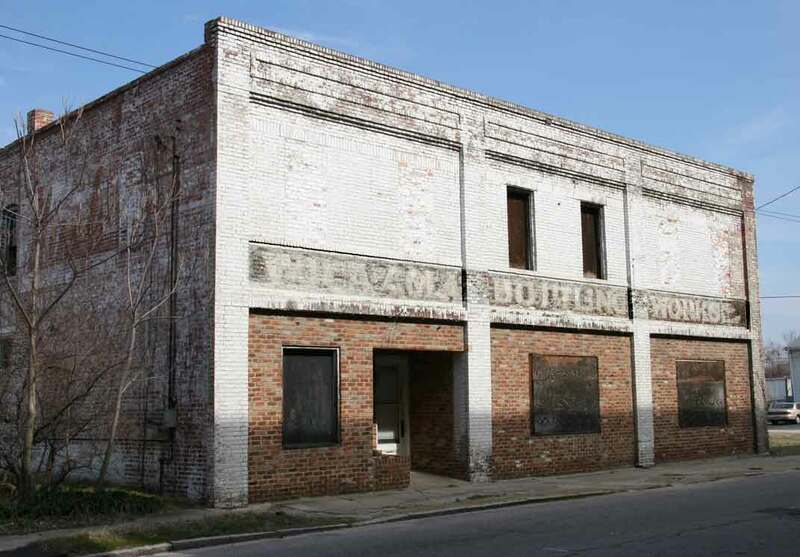 The Coca-Cola Bottling Works were located in this building on East Bank Street, Petersburg, Virginia, approximately twenty years, 1917 through 1937. The Hill Petersburg City Directory listed a new location in 1939: 1417-1421 West Washington Street. The new location also left signs for Coca-Cola. These were in the form of terracotta plaques with the script Coca-Cola registered brand name and images of bottles. This ad from a 1944 issue of the The Hopewell [Virginia] News cited Petersburg Coca-Cola Bottling Works at 1417 West Washington St. Strictly speaking, the business name was Petersburg Coca-Cola Bottling Works, as represented in this ad from 1957. A manager at the Petersburg Coca-Cola Bottling Works was Daniel Manning Sanderson (1864-1944). Daniel M. Sanderson was born in Louisiana 21 September 1864 and died in Colonial Heights, Virginia, 24 November 1944. He was listed in the Petersburg city directory as manager at Petersburg Coca-Cola Bottling Works from 1915 through 1941. He is buried in Blandford Cemetery, Petersburg, and his gravestone can be seen on FindAGrave.com. As of December 2016, the Coca-Cola Bottling Works sign on East Bank St. had been re-painted and new shops opened in the building. A bronze plaque sold on www.worthpoint.com 9 Nov. 2011 celebrated the Petersburg Coca-Cola Bottling Works's fiftieth anniversary in 1957.